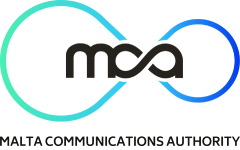 The Malta Communications Authority (MCA) is today publishing the results of its latest business perception survey. The survey was carried out using a sample of 394 respondents which is representative of the Maltese business community (i.e. composed mainly of micro enterprises engaging between 0-9 employees). All interviews were carried out between April and May 2017 over the telephone with the person responsible for handling the mail of each respective organisation. Respondents were chosen randomly. Postal markets within and beyond Europe are experiencing shifts in traditional letter mail volumes and a shift in consumer and business behaviour. The MCA carries out such surveys periodically to observe the extent of these shifts as in the local scenario, as well as to establish whether postal users’ needs are being met. 83% of respondents claiming to be satisfied with the overall quality of postal services provided by MaltaPost. The majority of respondents (31%) were not aware of their expenditure on postal services. Respondents who gave an answer tended to spend within the lower brackets, with the majority (16%) claiming to have spent between €0-4.99 in the twelve months preceding the survey. The majority of respondents (57%) claimed to have received the same volume of addressed letters, consistent with findings from previous research carried out in 2014. When asked about sending letters the majority of respondents claimed to have sent the same volume of addressed letters (49%), while the proportion of respondents who claimed to have sent more letters decreased from 7% in 2014 to 4% in 2017. Of those respondents who claimed to have sent more letters cited reasons such as marketing campaigns (40%) and an increasing client-base (33%) as the cause. The majority (86%) pointed to email as the reason for sending fewer letters, followed by online payments (21%) and eBusiness solutions (such as websites) and messaging services (9% and 13% respectively). Participants were also asked about what lead-time (in days) from the date of posting a letter to actual delivery they would find acceptable. 58% of respondents claimed that they would find next day delivery (D+1) acceptable. Mail is currently delivered on a 6-day schedule (Monday to Saturday). Respondents were asked if they would find a 5-day delivery week acceptable: in 2014 33% replied in the positive whereas in 2017 this figure was 44%. Respondents were then asked which day, Monday or Saturday, they would prefer to remove delivery from. 80% of respondents claimed that they would prefer to remove delivery on Saturday i.e. Monday-Friday delivery schedule. 86% of respondents who claimed that a 5-day week would not be acceptable were willing to pay higher postal prices in order to maintain a 6-day schedule. 68% of respondents claimed to have visited a post office in the 12 months preceding the survey. The main reasons for visiting the post office were to send letters and buy stamps (both 47%). Respondents were asked if, in the 12 months preceding the survey, they or any member of their organisation made a formal complaint with MaltaPost about any aspect of postal services. 8% claimed to have done so, with the majority of respondents having lodged a complaint once (as opposed to multiple complaints). Complaints mainly related to loss (48%) and misdelivery (31%). The above perception survey provided viewpoints relating to the entire business community in Malta i.e. all businesses comprising micro-, small-, medium- and large-sized organisations. In addition a further sample of 172 respondents composed entirely of medium (10-49 employees) and large (50+ employees) businesses was taken. Such businesses tend to make heavier use of postal services when compared to smaller businesses and, due to their proportionately small size within the representative sample (2.6%), may not be sufficiently captured within the overall sample. At 26% the majority of respondents from this sample, in parallel to respondents from the overall sample, were not aware of their expenditure on postal services within the 12 months preceding the survey. Respondents who gave a reply tended to spend within the higher brackets, with the majority (17%) spending over €500. 9% of respondents from this sample claimed to have sent more letters in the 12 months preceding the survey, citing a growing client-base (40%). The majority of respondents who claimed to have sent fewer letters within the same period mainly used email as a substitute (94%) but were more likely than their overall counterparts to invest in online payments (22%) and eBusiness solutions (19%). Both samples were asked which non-postal alternatives they would adopt in the case of a 5-10% price increase. The majority of medium and large businesses, like respondents from the overall sample, would switch to email (42% and 45% respectively), however medium and large businesses were also more likely to have no alternative than overall businesses (20% vs. 12%). Operators other than MaltaPost were used to send letters by both samples, with medium and large businesses more likely to make use of other operators (22% vs. 12%). When compared to smaller businesses and bulk mailers large businesses showed greatest openness towards the idea of a 2-day lead-time, whereby a letter is delivered 2 days after it is posted (as opposed to the current D+1 delivery service offered by MaltaPost). Unlike their smaller counterparts larger businesses were more likely to send a parcel (42% vs. 24%). Respondents from both samples who did send parcels were similarly and evenly distributed across those who made exclusive or inclusive use of either MaltaPost or alternative operators. Larger businesses were more likely to visit MaltaPost’s website than respondents from the overall sample and were also likely to visit more frequently. Respondents from both samples mainly visited the website to search for post-codes and information and about prices. While the majority of both samples visited the post office larger businesses were more likely to make use of services related to parcels and registered than respondents from the overall sample. Smaller businesses, on the other hand, were more likely than larger businesses to visit the post office to pay bills. As regulator for postal services the Malta Communications Authority carries out research on a regular basis. This survey, part of a series of surveys examining household, businesses and bulk mailers’ use of postal services is intended to assess the extent of businesses’ satisfaction with the services provided by MaltaPost, as well as to monitor a number of aspects related to the sustainability of postal services (such as price levels, quality and access). The aim of this research is to guide the Authority’s decisions, the effects of which are felt by consumers and businesses alike, by providing an additional source of information for such decisions.